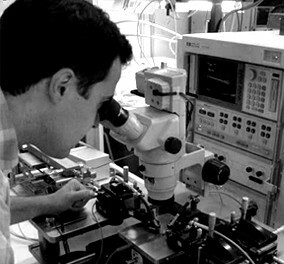 Research at the Signal Theory and Communications Department covers many different topics related to the information processing and transmission. Research is carried out by means of different autonomous Research Groups which develop basic as well as applied research. The large amount of competitive projects (national and international) where the different Research Groups collaborate gives an idea of the intense activity carried out by the Department staff. The scientific production is also reflected by the large number of articles contributed to international journals and conferences. Technology transfer is done by holding contracts with public and private companies. Different Department members are collaborating with external Research Centers affiliated to UPC. It has also to be highlighted that different Department researchers received national awards to their scientific achievements during last years.